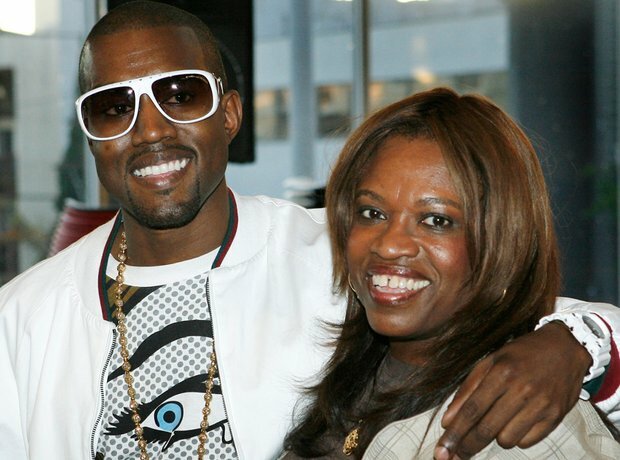 The death of Kanye West's mum, Donda West. 13. The death of Kanye West's mum, Donda West. When 'Ye's mum Donda died unexpectedly in 2007 due to post plastic surgery complications Kanye described it as "like losing an arm and a leg and trying to walk." The emotions he went through following the horrendous event inspired his next album '808's And Heartbreak' and two days after the funeral, West went back on tour, dedicating his performance of 'Hey Mama' to his mother every night of the rest of the tour.